New feature of group calling is now added to Whatsapp and to make it possible one must have an active Wi-Fi connection and have a smart phone in hand. 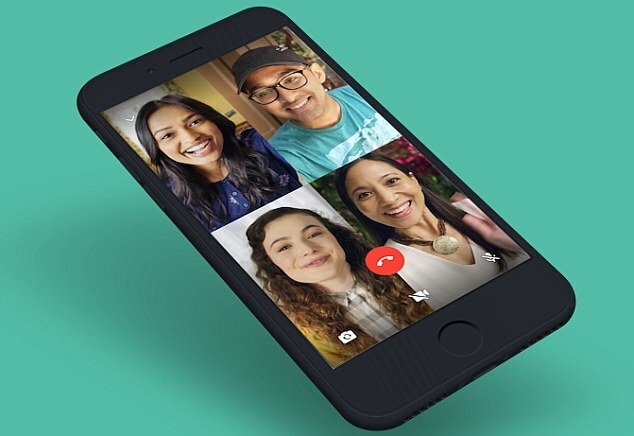 WhatsApp Update: Group Video Calling and Voice Call accumulate an advantageous feature to all Android and iPhone Users globally. Just like chats WhatsApp group call will also be encoded from end-to-end. The WhatsApp has broadcast-ed the feature of WhatsApp Group Video, Voice Calling in June. In this Beta, users can engage themselves with non-beta users in group calls, but non-beta users cannot make any type of calls from their end. Finally, WhatsApp provided the support to Group Video, Voice Calling which has really made the world small as with this one can talk to the other person by establishing face-to-face contact. How to use WhatsApp group video and audio call? Click on Add participant icon present on the right top of the screen. After Clicking on this icon it will take all the users directly to the contact list. Here users can select the names from the list and can add them in group calling list. If the third member accepts video and audio call than the names will be shown by comma separation on the screen. Only four participants can be added in Audio and group video call. This clearly means a user can add three more contacts and the total number of participants will be four, which includes him also. In this same way, users can select the number of friends and can start WhatsApp video and audio call. Video calls are supported by WhatsApp since 2016 and its members are limited to two participants. Now the app is improving and it has started group video call by supporting iOS and Android app. Download the latest version of the WhatsApp app via Google Play Store or Apple App Store. After achieving the success on the WhatsApp group audio and video call now the Facebook Messenger supports group video calls of up to 50 and the Skype supports 25, Snapchat supports 16 participants and Apple’s FaceTime supports 32 people and all this is possible only after the launch of iOS 12.